Great comfort, extreme extravagance, best of the best – these are some phrases associated with the word “luxury” and are used to describe luxury homes for sale Incline Village NV. Spoiled and lavished – this is how luxury home owners want to feel every time they walk around and gaze at their homes. What makes these luxury homes superior over the rest? Here is a list of the top 5 items luxury homeowners want in their own paradise. Expansive outdoor areas are one of the signature items of luxury homes. Some of these outdoor living space must-haves include resort style landscaping, beautiful gardens, and breathtaking views. Elegantly arranged patio seating either near the cabanas or by the fire pit is as important as planning indoor spaces since more people are entertaining guests and hosting parties outdoors. With this said, having an outdoor kitchen and cooking area is a plus. More than a place for cooking and dining, the kitchen has now turned into something more than an essential part of the house. 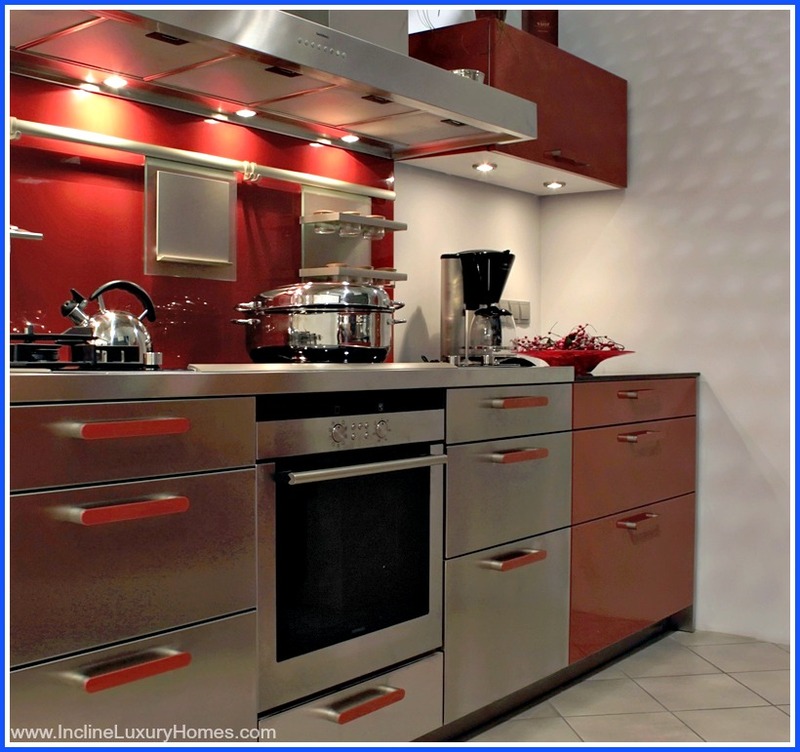 In addition to outdoor kitchens, having an epic modern chef’s kitchen is now one of the status symbols that define a luxury home. As one of the primary rooms to view, these modern kitchens are expected to have commercial-grade appliances, warming drawers, wine fridges, and plenty of storage space. The address, zip code, and neighborhood are also essential factors to consider when eyeing one’s piece of paradise. This is a make or break decision for some people. But for most, privacy and exclusivity are top considerations. There are location-related factors that cannot be changed yet valued as priceless and vital such as a stunning view of the beach or the lake. 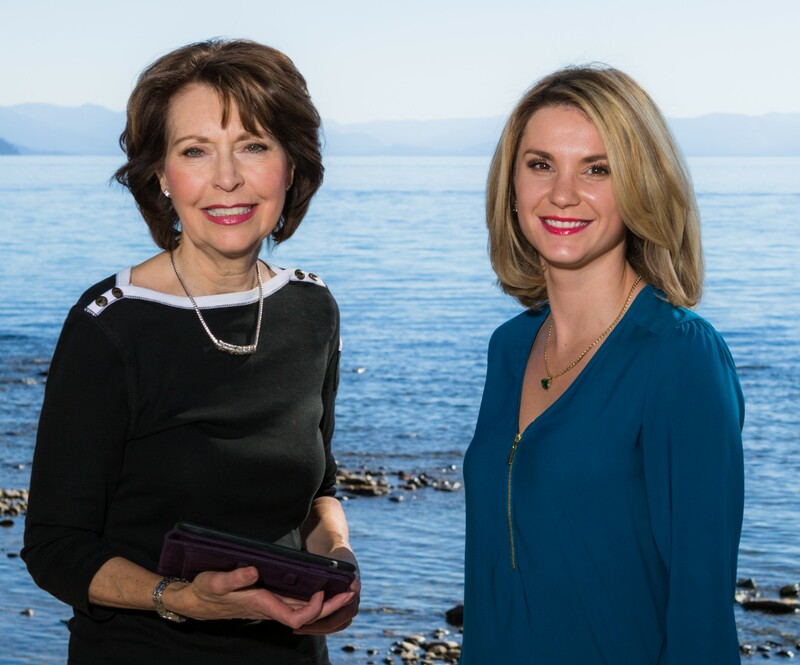 An Incline Village lakefront real estate owner will surely attest to having wonderful mornings, regardless of the season, as he or she gazes at the splendor of Lake Tahoe. Comfort, convenience, and security all come with a price – a high one, at that. Homeowners can have access to these things even from any part of the world either through their smartphones or the internet because of the latest innovations in technology. With all these new discoveries, home climates can be controlled, lights can be dimmed, and security cameras can be checked all with the movement of a single finger. This element has been the number one consideration of luxury home buyers when checking out potential homes. An open and airy floor plan has been the trend for a number of reasons. It brings in more sunlight. Integrating the outdoor scenery with the indoor space is possible because of the absence of visual barriers such as walls and doors. Last but not least, it encourages communication and interaction among family members and guests. Unique, exceptional, spectacular – these are only a handful of the many words that define Incline Village homes for sale in Nevada. This list gives a general overview of what luxury home buyers want. 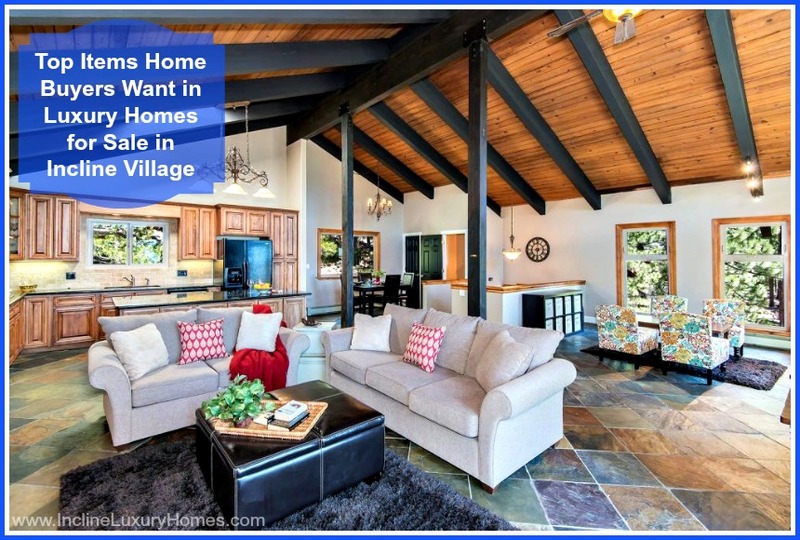 Whatever the considerations, Incline Village NV real estate listingssurely have the perfect home that would satisfy the items on the buyer’s luxury home must-haves checklist. Review your checklist and start looking for that ideal luxury home by checking outwww.InclineLuxuryHomes.com today.